White willow bark has been used as a traditional treatment to relieve pain and fevers in China since 500 B.C., according to the University of Pittsburgh Medical Center. Because white willow bark contains the same chemical properties as aspirin, it’s still used today as an alternative to aspirin and other similar pain-relievers. White willow bark is typically taken in the form of a tea by boiling 1 to 2 teaspoons of dried bark in 8 ounces of water, taken three to four times daily, or in the form of powdered herb capsules in doses of 60 to 240 milligrams of standardized salicin daily. Taking white willow bark can help to relieve pain associated with tension and migraine headaches. 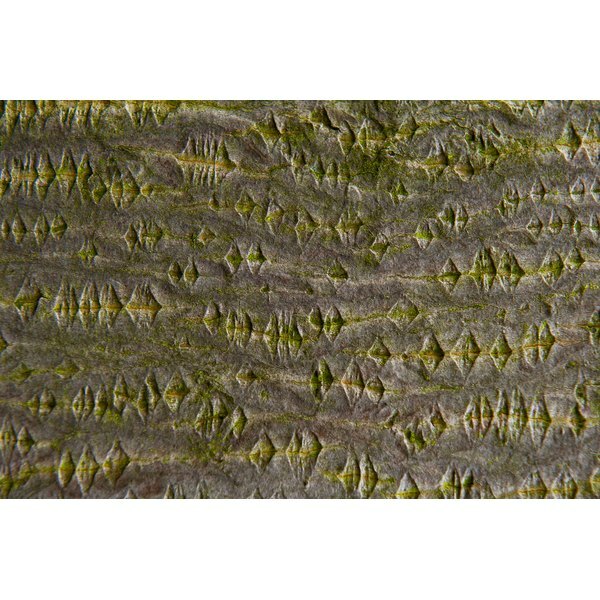 With alternative therapies becoming more popular, interest in white willow bark is on the rise, notes the University of Pittsburgh Medical Center. Although larger studies are lacking in determining whether white willow bark is safe and effective for chronic headaches, some medical evidence indicates that willow bark is less likely to cause gastrointestinal side effects like upset stomach that other pain relievers can cause, says the University of Maryland Medical Center. Like aspirin, the pain-killing component in white willow bark is salicylic acid, but white willow contains it in the form of salicin and other chemicals that are converted into salicylic acid only after being absorbed in the body, says the University of Pittsburgh Medical Center. This may account for white willow’s gentler effects on the stomach than aspirin and other pain killers. The fact that the dosage of white willow tends to be more like the dosage of a baby aspirin instead of a full aspirin dose may also contribute to this, adds the University of Pittsburgh. Medical studies have also found that white willow bark is effective in easing lower back pain. The University of Maryland Medical Center points out a study of about 200 people with lower back pain, which found that the participants who took white willow bark experienced a major improvement with their pain. People who took 240 milligrams of salicin experienced better pain relief than participants who took lower doses of 120 milligrams. White willow bark’s pain-relieving and anti-inflammatory effects can help to reduce pain associated with osteoarthritis and rheumatoid arthritis. Several medical studies have found that taking white willow bark significantly improved arthritis-related pain in comparison with a placebo, according to the University of Maryland Medical Center. White willow bark's pain-killing effects may take longer to work, but they last longer than over-the-counter aspirin products according to the University of Michigan Health System. The University of Pittsburgh Medical Center points out, however, that two later studies found only moderate or no pain-relief effects in patients with rheumatoid arthritis and osteoarthritis in comparison with a placebo. Few medical studies have been performed on herbal treatments or therapies for bursitis, but white willow bark is among the few herbal remedies recommended for bursitis, due to its anti-inflammatory effects, says the University of Michigan Health System. Bursitis occurs when the fluid-filled sacs that are typically located in the joints become inflamed, causing swelling and pain. White willow’s use in treating bursitis is suggested due to the herb’s similarity to aspirin in its effects, notes the University of Pittsburgh Medical Center. Similarly, white willow bark is often used to treat tendonitis. Are There Herbal Remedies for Pelvic Pain? How Much MSM to Take Daily for Rheumatoid Arthritis?